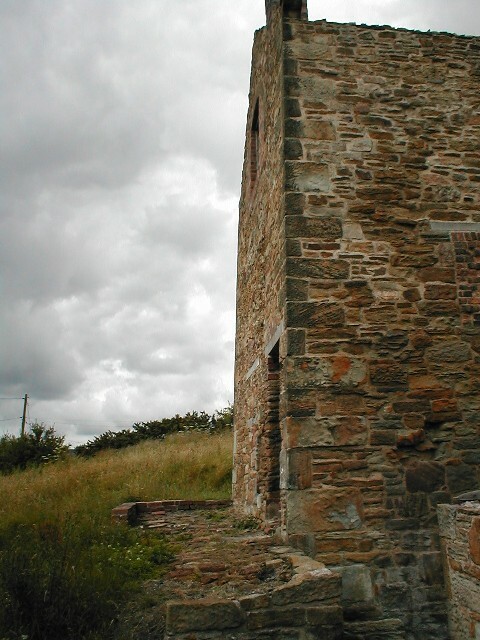 Now a Scheduled Ancient Monument, John Wilkinson, the pioneering industrialist, built Penrhos Engine House in the late 18th Century, in order to house an engine to pump water from his coal mine on the site. 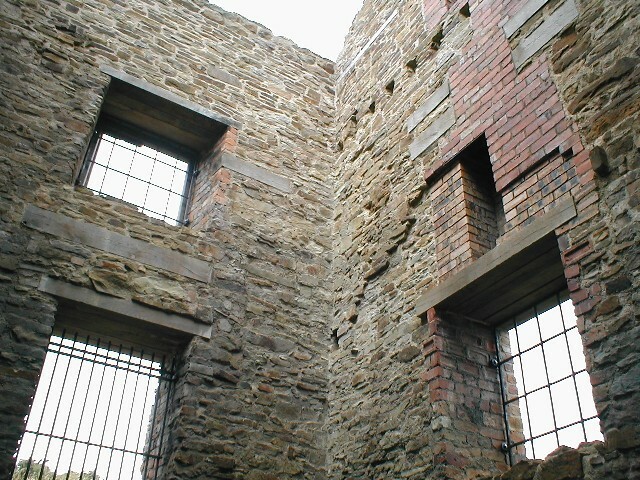 It is thought to be the earliest surviving colliery engine house in Wales. 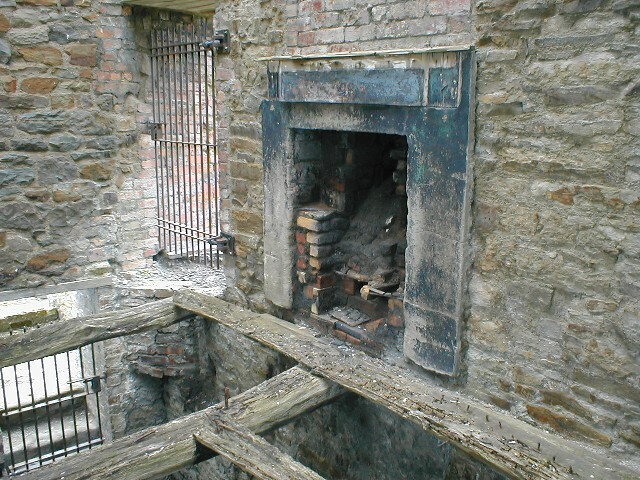 The building was later converted into a cottage - you can still see traces of the old fireplaces, the bread oven and the pigsty! 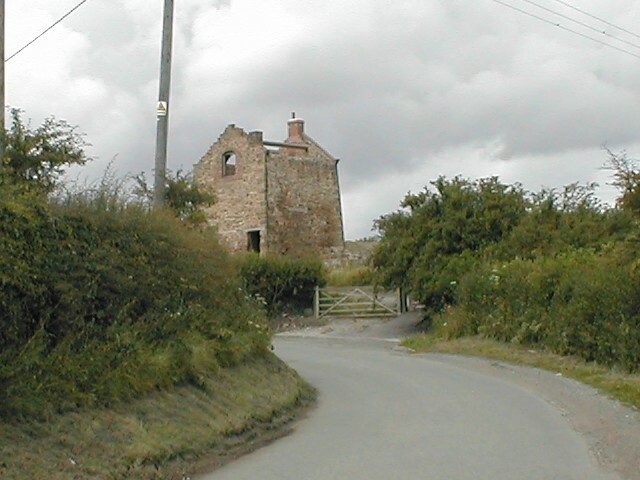 Nearby, Wilkinson also built the 'Brymbo Bottle', a chimney used to condense fumes from the lead smelt immediately below. 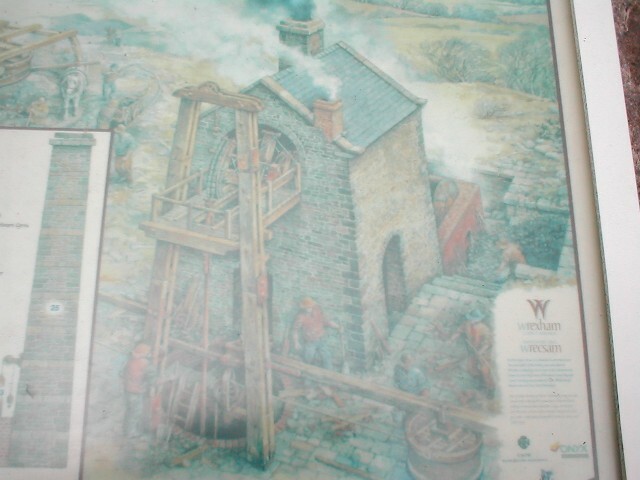 The lead was brought from Wilkinson's mines in nearby Minera. The Bottle was partially demolished by the army in 1962 in a training exercise. Following the death of John Wilkinson in 1808 the estate passed into the hands of trustees, for whom a set of plans of the Brymbo Colliery were prepared by William Rowe between 1809 and 1812. 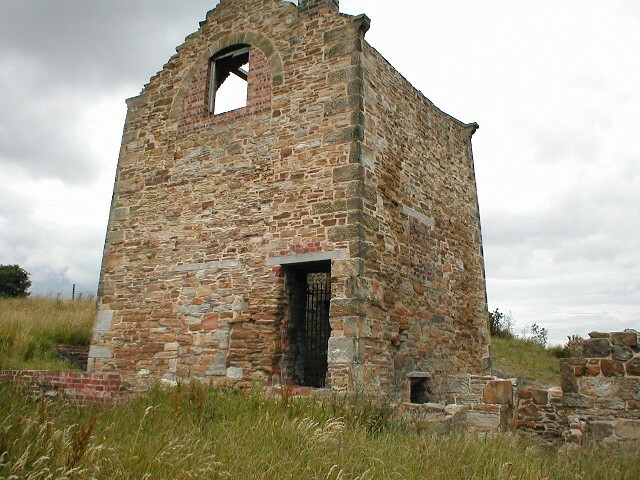 The longitudinal section through the colliery strata is the only document that records the working engine house, where it is clearly shown as containing a Pumping Beam Engine. 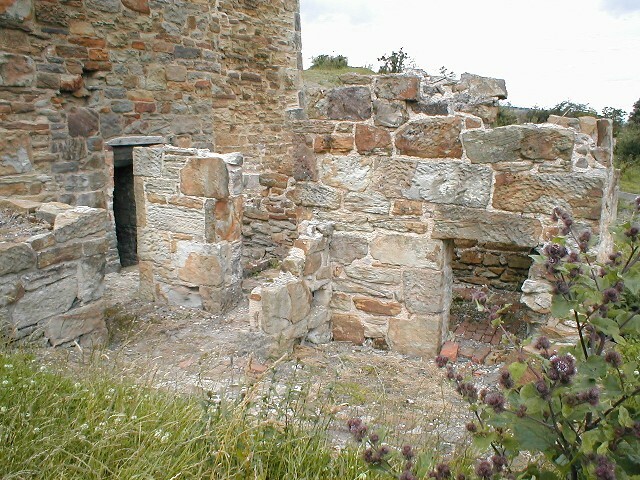 Located immediately outside the northern gable wall (containing two apertures), can be seen the cylindrical back of a boiler and its adjoining chimney. 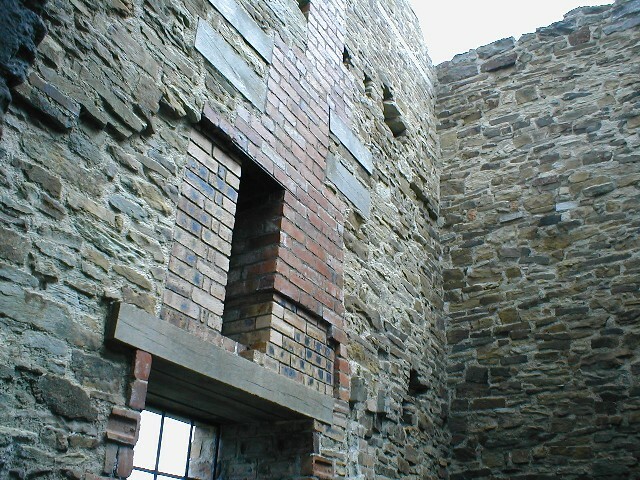 The south wall, facing the shaft, clearly shows the bob platform protruding from the upper bob-wall and, most interestingly, the detail of the beam itself - a wooden beam with arch-head to which is fixed the pump rod descending into the shaft. 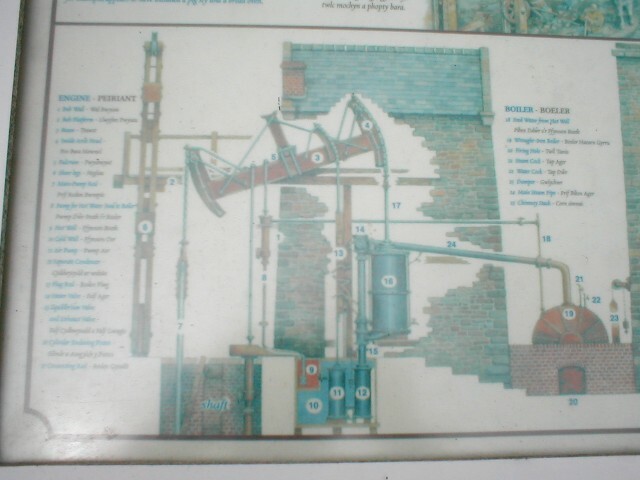 Standing over the shaft are the tall shear legs, necessary for the raising and lowering of the pump rods and pipes into the shaft. At what date the engine had stopped working by is not known, nor is the fate that befell it, as there are no sale documents that record whether this engine was either sold-on or scrapped. We do know that by the mid nineteenth century the engine house was being lived in and remained in domestic usage until the 1950's. The building has been unoccupied for the last 40 years and has suffered the ravages of time and exposure to a harsh climate. The deterioration of the fabric of the building has accelerated in the last decade and it is more than probable that without the currently proposed restoration project the building will not last into the millennium. 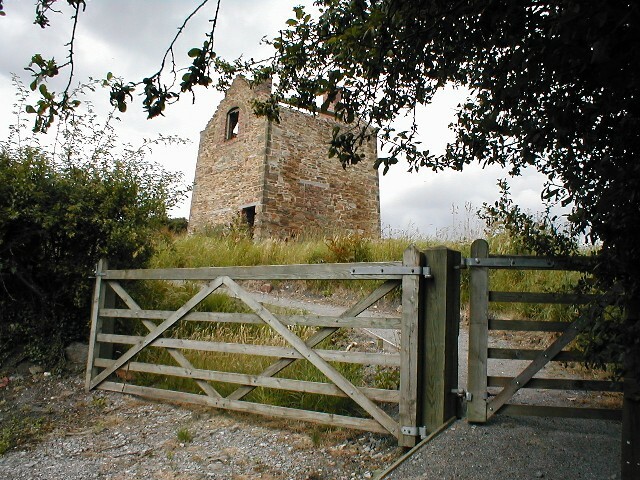 The Penrhos Engine House was scheduled as an Ancient Monument following a report by The Welsh Mines Preservation Trust on Beam Engine Houses in Wales, submitted to Cadw in 1989. 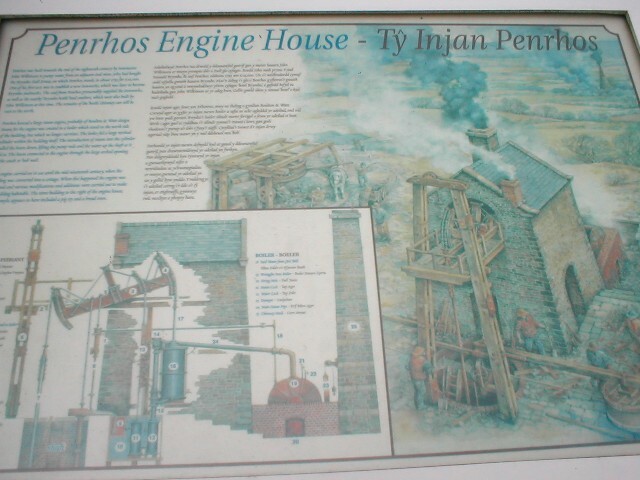 The Penrhos Engine House Project started in January 1998 and should be completed in early May. 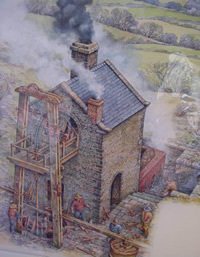 It involves the repair and reconsolidation of the remains of the Engine House and is being undertaken by building contractor Mike Salt, with funding from Cadw:Welsh Historic Monuments and Clay Colliery Company. Following the erection of the scaffolding it was found that the structure was in a very precarious condition and significant areas of the buildings masonry have had to be carefully dismantled and then re-erected. 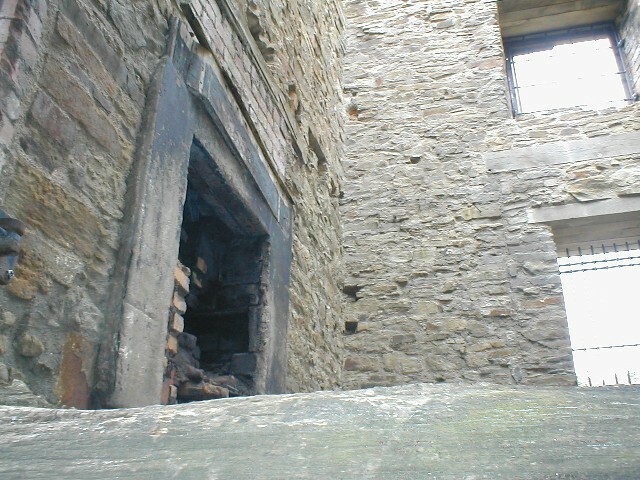 During the work a blocked fireplace flue was discovered in the south east corner which indicated the former position of the engine house fireplace, now a doorway of the cottage phase. 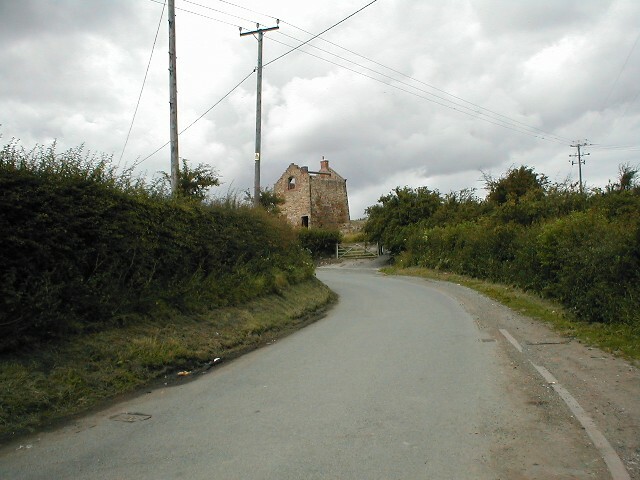 This phase will begin later in the Summer of 1998 and will include the construction of a small lay-by for visitors cars and an interpretation board, which will explain the history and significance of the structure. The monument officially opened to the public in the Spring of 1999. Do you have any old pictures or stories to share? based on research carried out by staff at Wrexham Museum.